Add learning conversation to record what you have achieved today. Y5 What LOGO commands can you use? Robot Santa face! 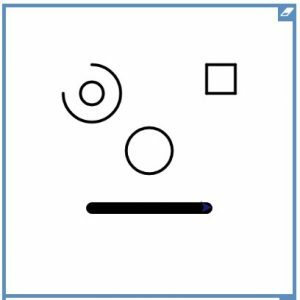 Add features to make your robot face into Santa! Add “Ho ho ho” text! CHALLENGE: Write instructions in LOGO to make this picture. Don’t get rid of your code! That’s the important bit. Can you use procedures at the beginning? Think of a simple picture with repeated elements, see here for examples. Use LOGO to draw it!